IMMERSE YOURSELF IN THE WILDS OF CONNEMARA with our superb 4 day discovery tour. A renowned destination of natural beauty that is surrounded by the roar of the wild Atlantic Ocean and the glistening lakes of Connemara. On this mystical tour of Connemara, we will explore the Bohemian capital of Ireland, Galway City, visit the magical island of Inis Mor, which is the largest of the Aran Islands and delve into the wilds of Clifden, a colourful town that sits on the edge of the wild Atlantic Ocean. Take the opportunity to experience exciting adventures from cycling on Inis Mor Island to kayaking on the wild Atlantic Ocean and leave you in little doubt of why Connemara has captured the hearts of many an explorer as they wander through this vast landscape of glistening lakes. DEPARTURE TIME 9:00am – Please arrive by 8:30 AM for a prompt departure. Departing from The Ashling Hotel, Parkgate Street, Arran Quay, Dublin 8. From Dublin’s fair city, we set our compasses due west, making our way through the lush midlands of Ireland in search of the wild Atlantic coastline. On route to the and the Bohemian capital of Ireland, Galway City, we will take a magical stop to Clonmacnoise, a mid-6th century Early Christian site founded by St. Ciarán. 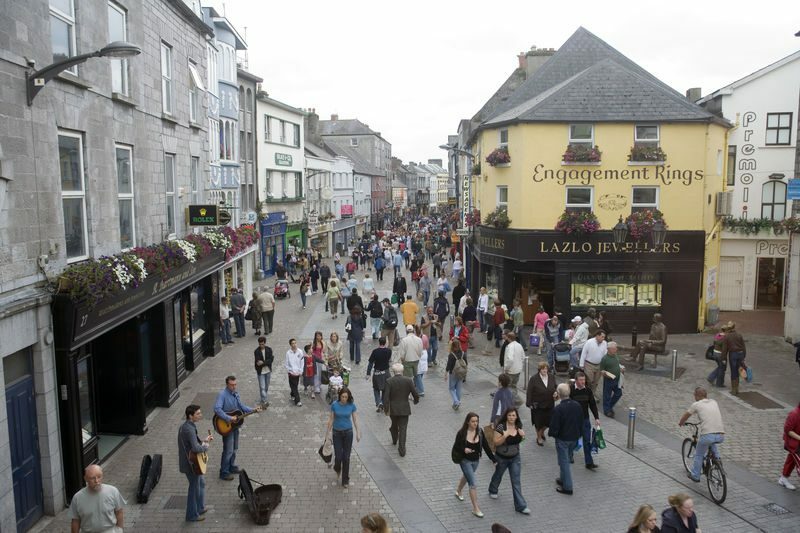 Afterwards, we make our way to Galway where you can explore and wander its bustling streets, sample its famed culinary delights and traditional music scene. The morning is yours to explore Galway City before taking our return journey to Ireland’s capital city, Dublin. You have the time to wander its bustling streets, hang out in some of Galway’s lively cafes, take in the wild Atlantic air on its waterfront or do some last minute souvenir shopping. We depart at 3 PM, taking the road back east, crossing the River Shannon on route to the fair city of Dublin. where we will say our fond farewells. We really hope you have had an amazing time exploring some of Connemaras most unique destinations and remember Ireland is now forever your home away from home. Returning to The Ashling Hotel, Parkgate Street, Arran Quay, Dublin 8.